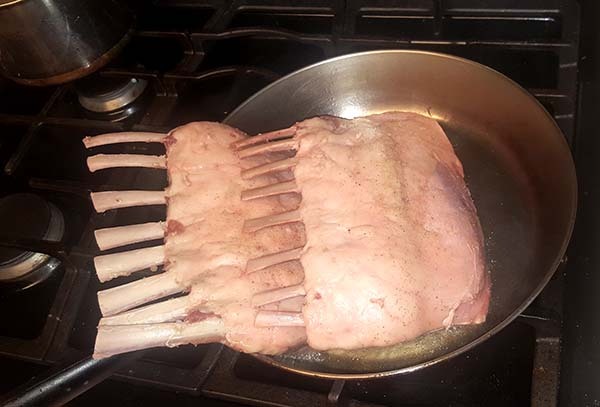 Use local lamb when you can find it/afford it. 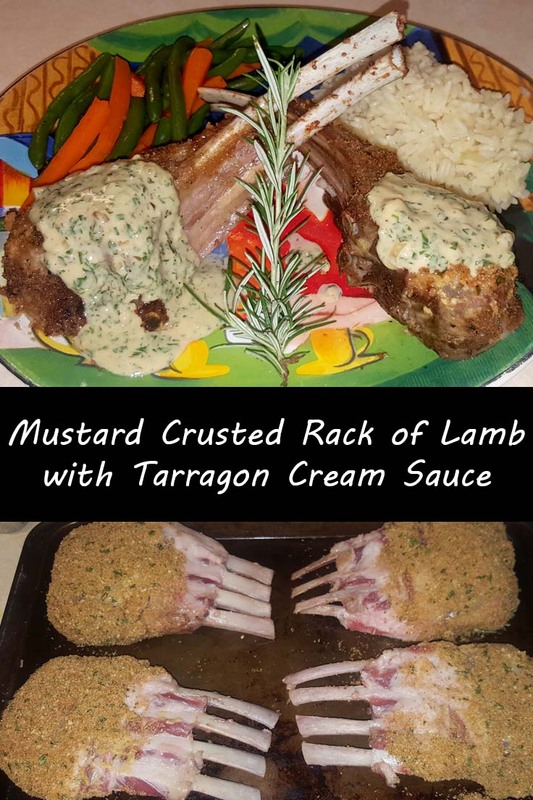 I paid double the price over New Zealand lamb this time. I wanted to impress, so it was worth it. Salt and pepper the lamb and sear in a hot pan with olive oil on all sides. Place on a baking tray. 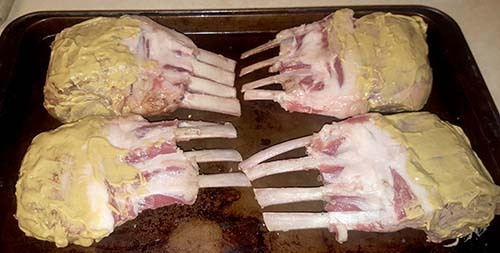 Lay the rack rib side down and spread mustard on the outside. Cover with bread crumb mixture. 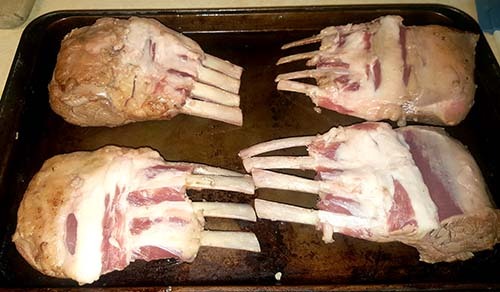 bake in oven at 350 for 15-20 minutes. 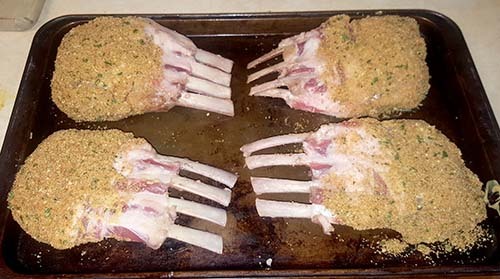 Cover bread crumbs with foil if the start to brown too early. Saute shallots for one minute, add garlic and cook until golden. Quickly add white wine before the garlic turns brown. Reduce by one-quarter. Add heavy cream, mustard and let thicken. When thickened, add salt and pepper to taste. Remove from heat and add tarragon and parsley. 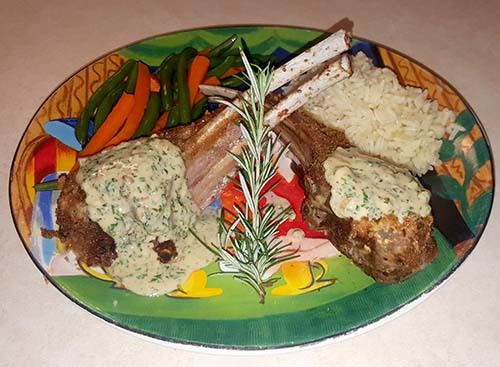 Ladle over the lamb and serve. Cook, make sauce and serve. This entry was posted in Entrees, Holiday, Sauces, Valentine's Day. Bookmark the permalink.